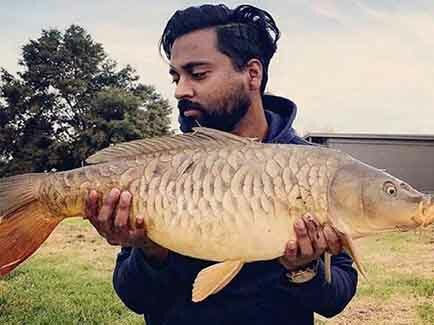 Dell Reyal was back at Albert park this week targeting more monster carp. And as you can see by the images he landed some amazing ones including a very beautiful large mirror carp. Dell really enjoys catching big carp on light fishing gear. Thanks for sharing Dell.